Check out the recent list of top anime DVDs at Anime News Network. 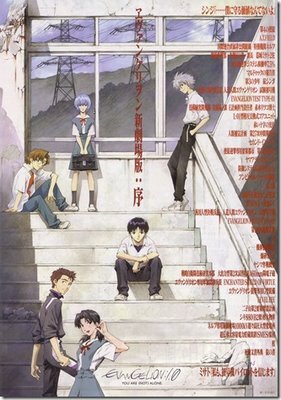 Looks as if Evangelion: 1.0 You Are [Not] Alone took the top spot with Mobile Suit Gundam 00 taking second place. Some other titles on the list include the Naruto Shippuden movie which of course none of the series is here yet in America. Cartoon Network is still airing the filler episodes before Shippuden unless I'm mistaken.